Parents have a habit of telling their kids that they’re special and unique. 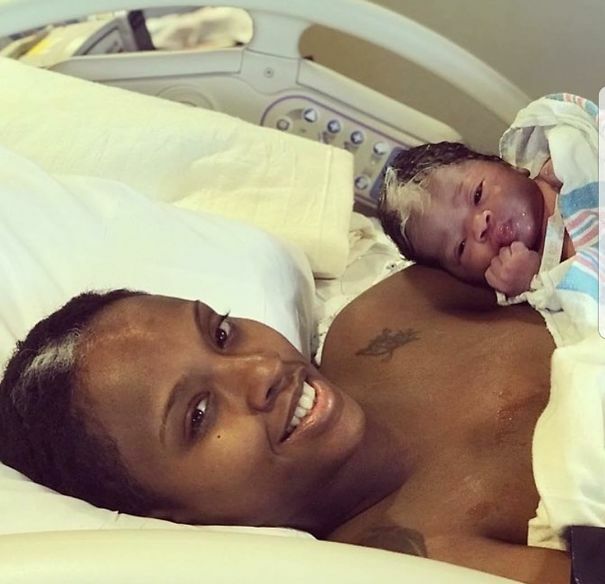 While that might be true, we can guarantee that you’re not as special or unique as the people in this article who have bizarre one-of-a-kind birth defects. While these people might stand out from the crowd, maybe they’re just real-life superheroes that we haven’t even heard of yet. It seems every superhero that we watch on the big screen is born out of adversity with unique traits. Symbrachydactyly is a condition where babies are born with an underdeveloped hand which causes them to have small or missing fingers. Hand malformation is often treated with orthotics, prosthetics, physical therapy or even surgery. Out of all babies born, 10% of them have some sort of malformation with their hands. Most of them aren’t as drastic as this, but hand malformations are not all that uncommon which might come as a surprise. Do you know how your pinky finger is supposed to be the smallest one on your hand? Well, this is what it looks like to have the opposite. 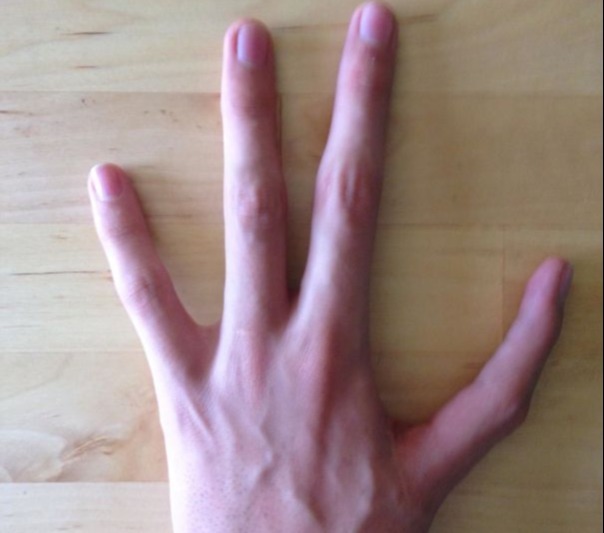 This rare condition is called Macrodactyly which causes an individual to have one or more fingers or toes that are much larger than the others. No one knows the exact cause, but some scientists believe that it comes from an abnormal nerve or blood supply. Whatever it is, it definitely looks weird. 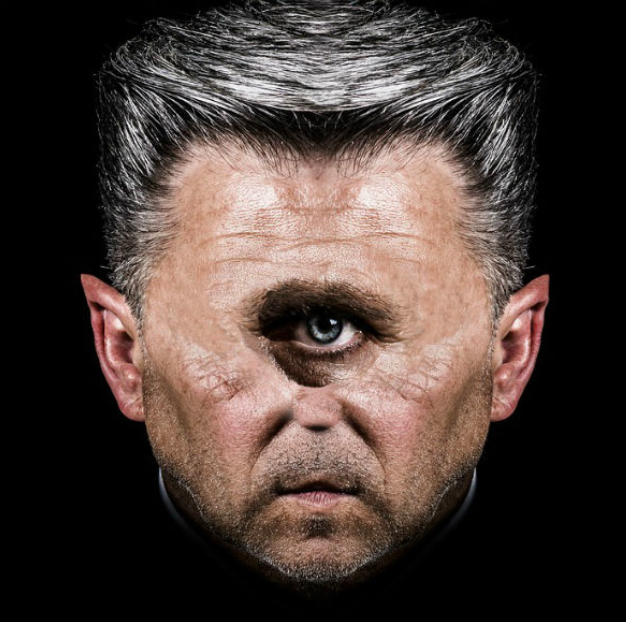 If you think that the idea of a cyclops is just a myth or something you’ll only see in a superhero movie, you’re wrong. Cyclopia is exactly what you think it is, and yes, it’s real. It’s a birth defect that mostly affects animals (specifically kittens), but can be found in humans as well. Some babies are born with one eye in the middle of their forehead much like what has been seen in the movies. Heterochromia Iridium is just a complicated name for someone with two different colored eyes. Although the aesthetic used be looked down upon and scowled at, the stigma has quickly disappeared. People want to look unique and looking to have different colored eyes will buy colored contact lenses. 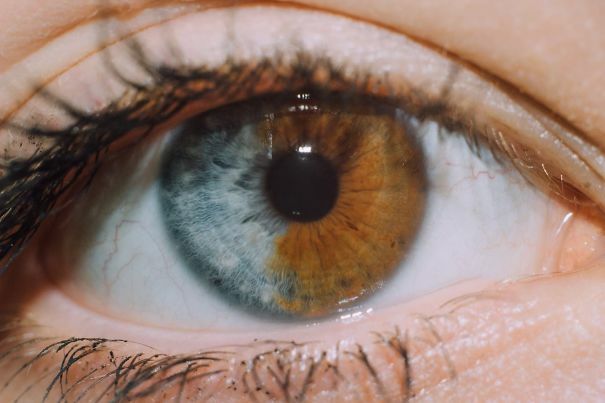 Scientists know what genes account for blue, green, and brown eyes, but they have yet to be able to figure out how the colors mix. This person was born with a scar on their eye, or in medical terms — macular pucker. The Macular pucker is a scar tissue that formed in the eye’s macula which is located in the retina. This kind of looks like Sauron’s eye in The Lord of the Rings, but maybe that’s an unpopular opinion. The macular is the part of the eye that gives the sharp vision so this condition can cause some blurring. This may look like a cool haircut, but your barber might have a tough time replicating it. A hair whorl is a patch of hair that grows in a circular clockwise or counterclockwise direction. 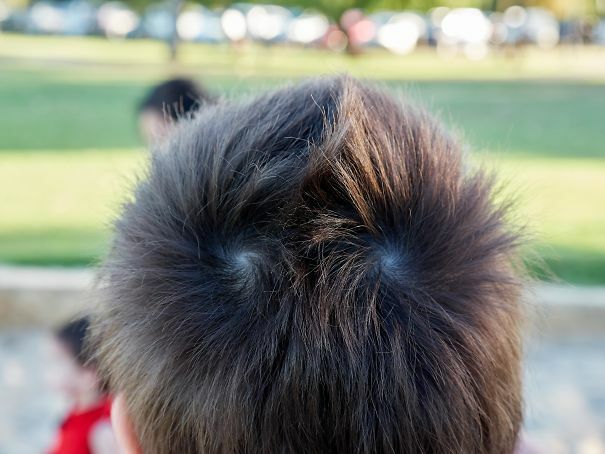 They have been trying to study the hair abnormality to see if there’s a link between handedness and whirl direction, but there has been nothing conclusive found. Hair whorls are kind of like cowlicks in how they affect a person’s hair. This is a very hard birth defect to look at, so don’t even bother Googling it. 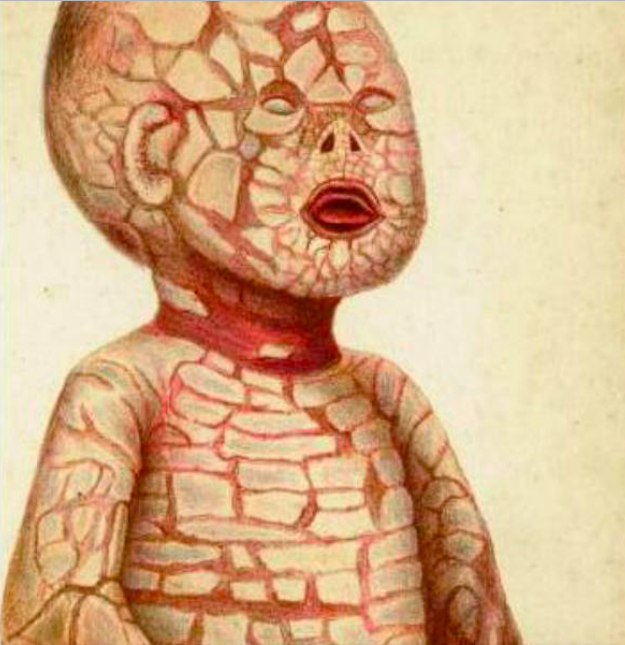 Harlequin babies suffer from a rare disorder that consists of having thick skin covering their bodies, usually in a large diamond-shaped plate, hence the name. These plates are separated by deep cracks and any bodily movement is extremely limited. Babies with this disorder used to die early in their lives, but with the recent medical advances, they’ve been able to survive until adolescence. Almost everyone has a birthmark that shows itself in one way or another. But, it’s incredibly rare to have the same birthmark as someone in your family. 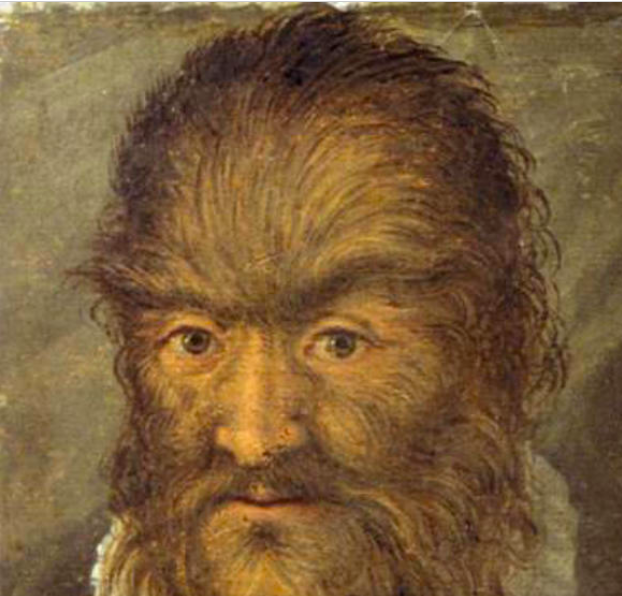 This condition is called poliosis and results from the absence of melanin on any hairy part of the body. 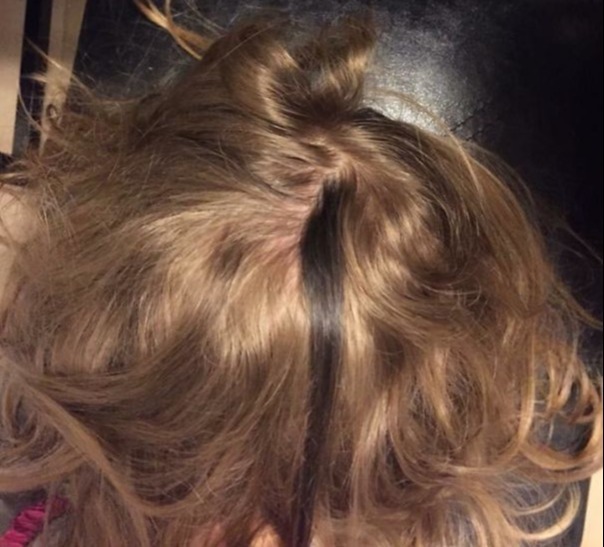 This is one of the only “types” of birthmarks that can be inherited, or be caused by an autoimmune destruction of the pigment cells at the base of the hair. This person has their iris basically split in half with different colors. 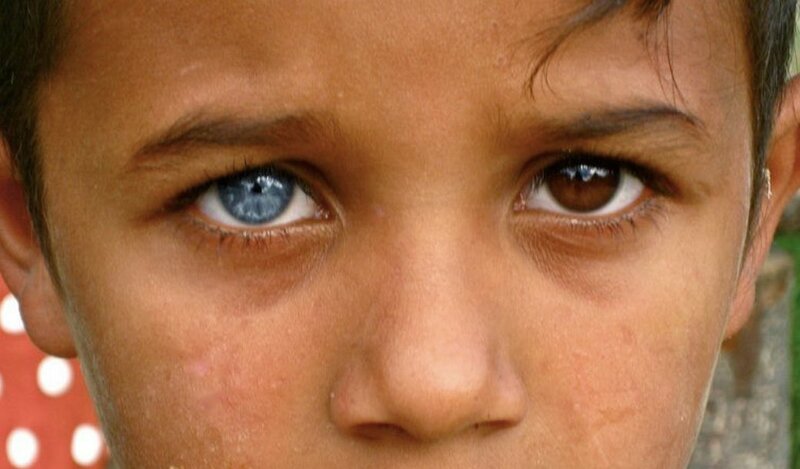 The condition is called heterochromia iridis, and it’s a genetic variation that manifests in multi-colored eyes. The duel coloring is caused by an excess or lack of melanin resulting from genetics, disease or an injury. 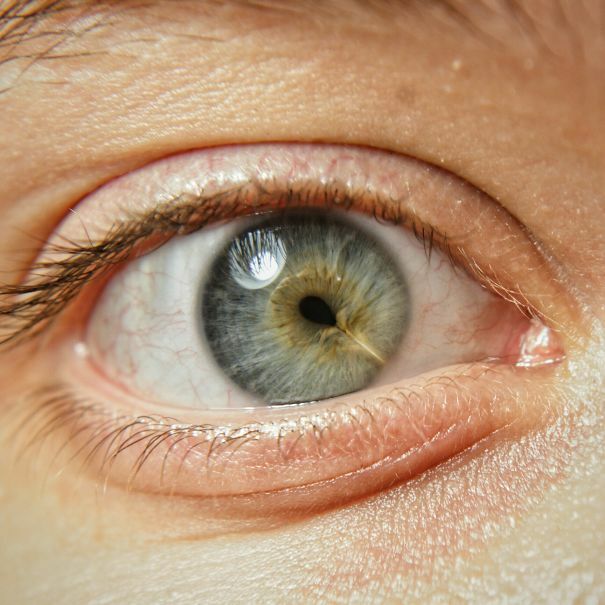 The almost perfect split in half is called sectoral heterochromia and occurs when there are two different colors in the same iris. There is a dominant color and then a splash of a second one and it’s hard to tell which one is which. Mermaid Syndrome, also known as Sirenomelia, is a birth defect in which the legs of the baby end up fusing together in the womb. 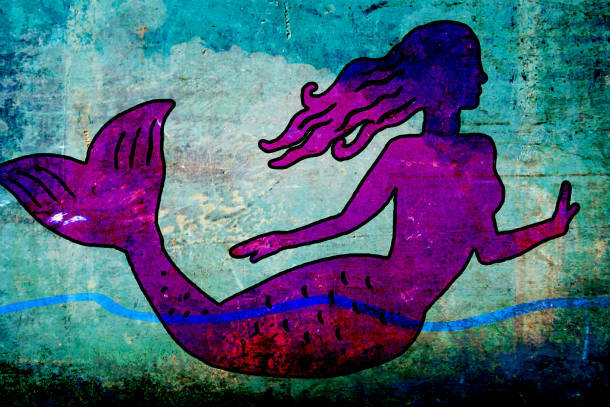 This is what gives this disorder the mermaid reference because the legs come out fused as one single entity. This condition is usually fatal because of the complications with the kidneys, liver, and other vital organs, but there are some success stories. One kid from Peru was able to have his legs separated and is now able to walk. 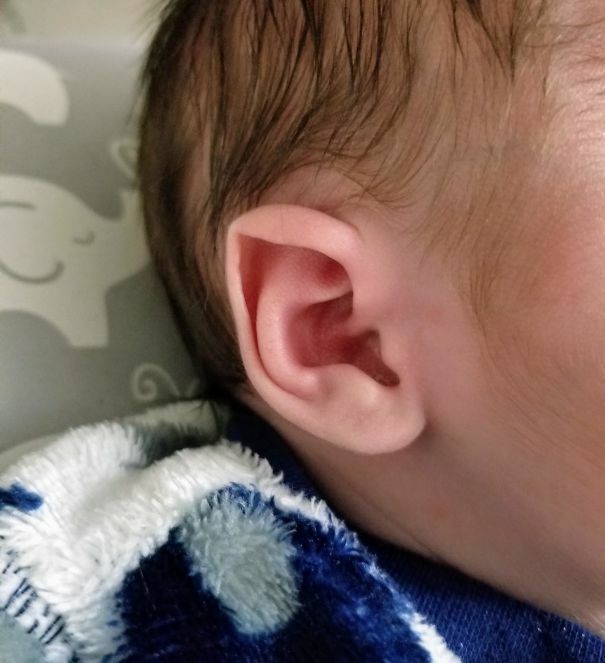 If you’re a Star Trek fan or even a Lord of the Rings fan, you’ll probably appreciate a natural elf (or Spock) ear. The medical term for it is Stahl’s ear which is a deformity that results in a pointy ear shape as well as an extra cartilage fold. This abnormality is the result of misshapen cartilage and when found in the first weeks of an infants life it can be reshaped to a more natural fold. 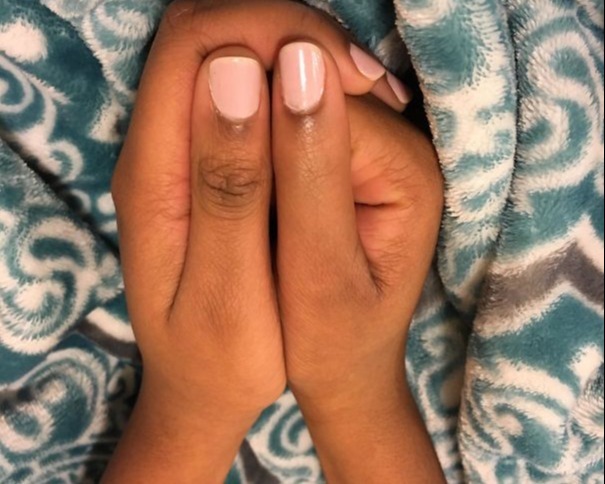 This person has all five fingers, but with one BIG exception — there’s no thumb on the hand. All of his fingers are fully functioning, but it looks extremely odd. This malformation is referred to as triphalangeal thumb where the thumb has three phalanges instead of two. 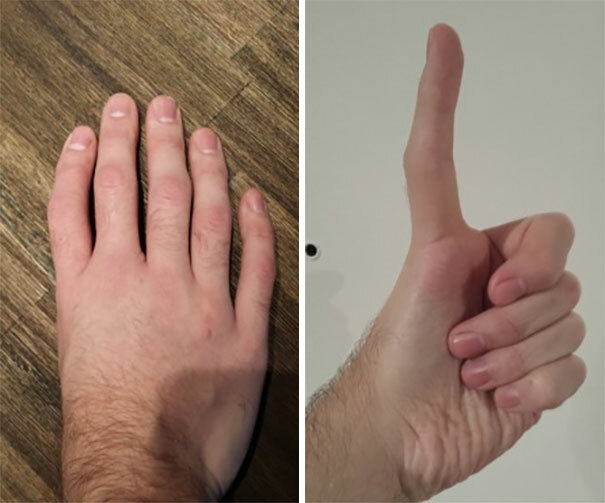 One of the common treatments is getting reconstructive surgery that reshapes a finger so that it would operate like a thumb without actually being a thumb. It’s estimated that around 25,000 children are born with this condition. 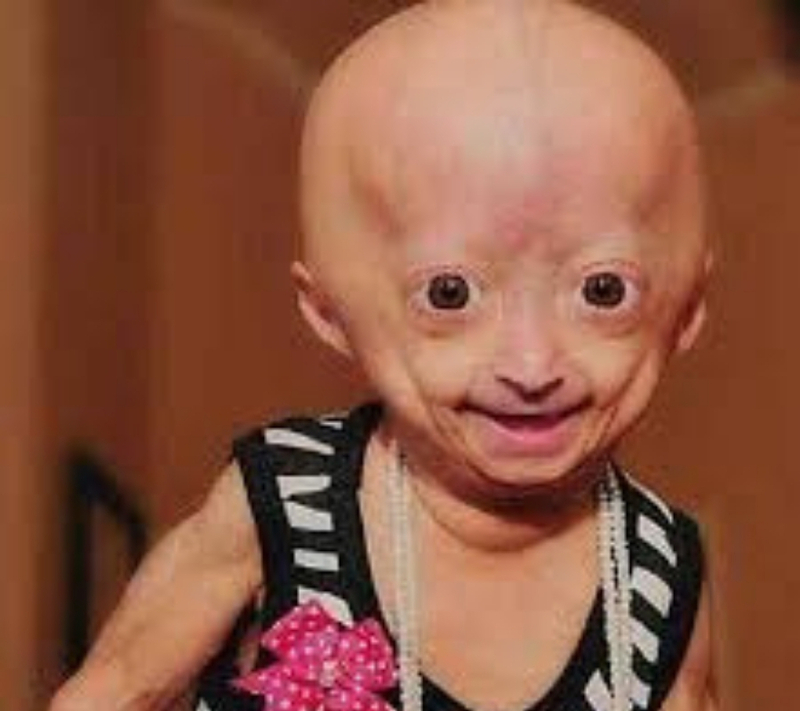 Progeria is a birth defect that causes children to age, but not grow. The aging process is very rapid and will make someone who is three years old look like they’re 60 or 70. It’s a pretty rare disease and only affects about 1,000 kids per year. The life span for kids with progeria is very short, and unfortunately, they usually die around age 14 because of complications. There’s also something called “late-onset” progeria which is also known as Werner’s Syndrome which can start in the late teens. People living with Werner’s syndrome usually pass away at age 40 or 50. If you see someone with a blonde or white streak in their hair, it’s because of a localized decrease (or lack) of melanin called poliosis. But, having a dark streak of hair (which is the result of the area having increased melanin) doesn’t have a name. Some people will just call it a “birthmark” and others say it’s probably just a discoloration in the hair and that it will eventually even out. While it’s not uncommon for people to have body hair, you’ve probably never seen someone with Ambras Syndrome. This is a condition where hair grows long all over the body with the exception of the palms of the hands, soles of the feet, and mucous membranes. You may or may not remember the old circus picture that showed “wolf girl” which was just someone who had Ambras Syndrome. There’s no treatment or cure, but it doesn’t affect the person’s lifespan. If you think that this is some sort of Halloween prosthetic, you’re wrong. These are called fimbriated folds of the tongue or plica fimbriata. Basically, that’s a lot of confusing words that mostly just mean tentacle-like flaps occur when the folds that go alongside the frenulum (the tissue that connects the tongue to the bottom of the mouth) have small growths or skin tags on them. They are harmless and kind of look sweet but have the potential to get stuck in your teeth. Kids born with this birth defect are often called “Butterfly Children” because their skin is so fragile and it’s compared to a butterfly’s wing. 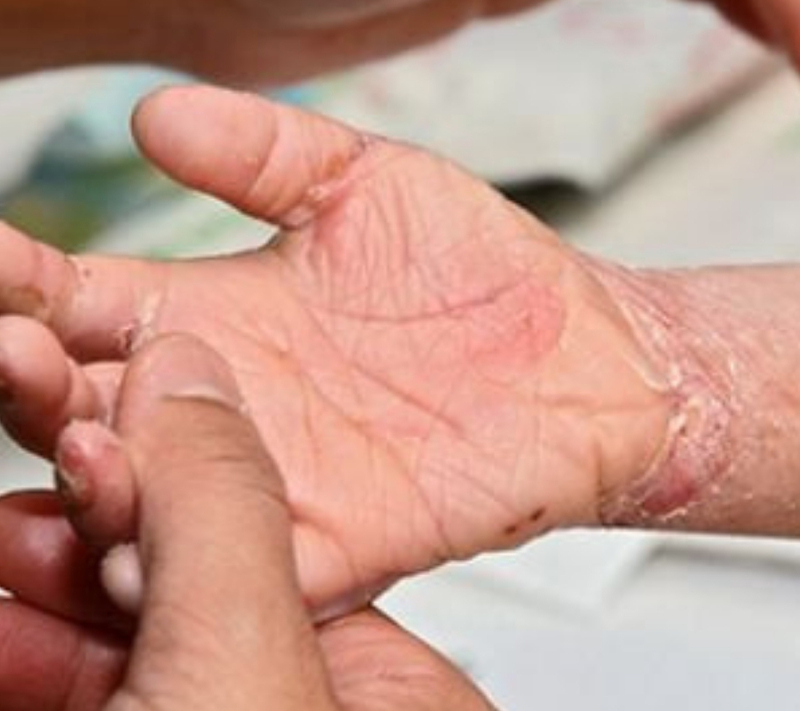 It’s an extremely rare disorder that affects sensitive skin. If you even touch their skin it could bruise or even tear and is extremely painful for the person. These kids can’t be physically held or comforted because it ends up hurting them too much. Most people with this disorder end up passing away before the age of 30. 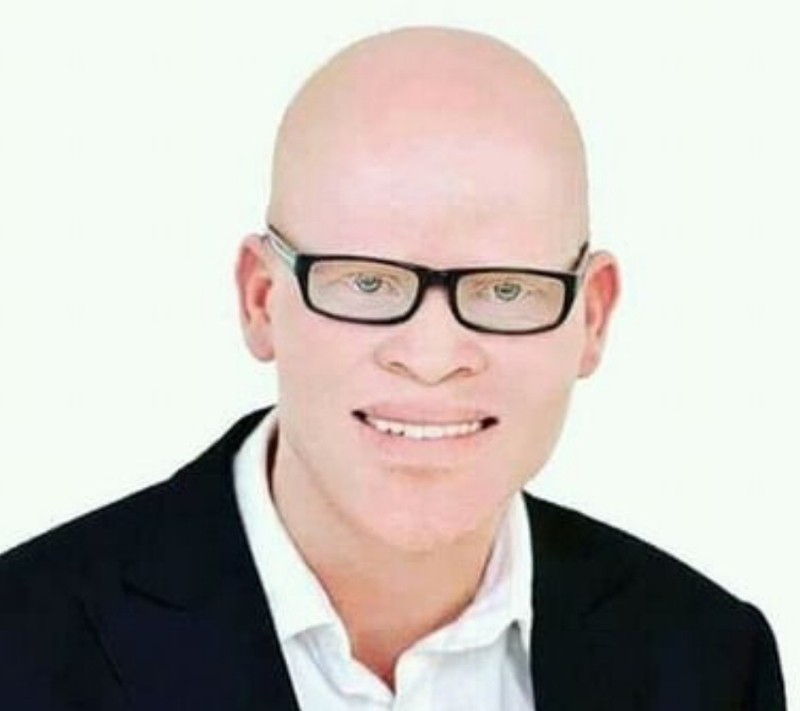 Albinism is a condition where someone is born without any pigment in their skin. 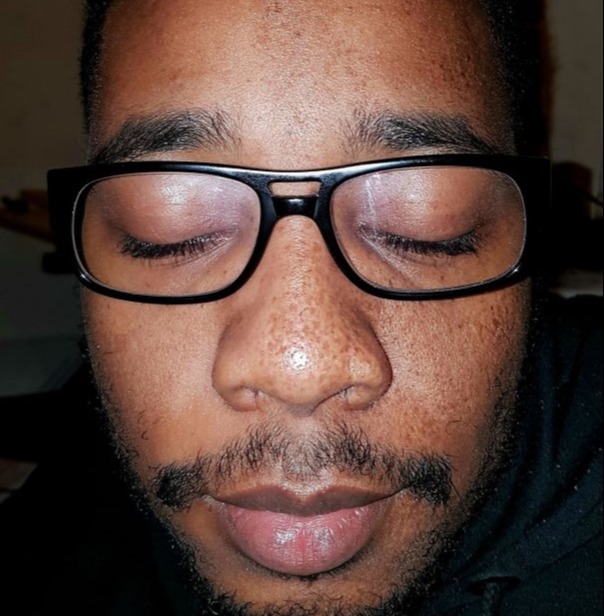 If someone has a lack of melanin (which we’ve seen in this article with hair) in their eyes or skin they’ll have this albino look. There are different forms of albinism which we’ve brushed over already. Some people only have it in their eyes, skin, or streaks in their hair. Albinism can affect any race and can even be seen in almost every species of animal. The nasal bridge is a saddle-shaped area that includes the nasal root and the lateral aspects of the nose. 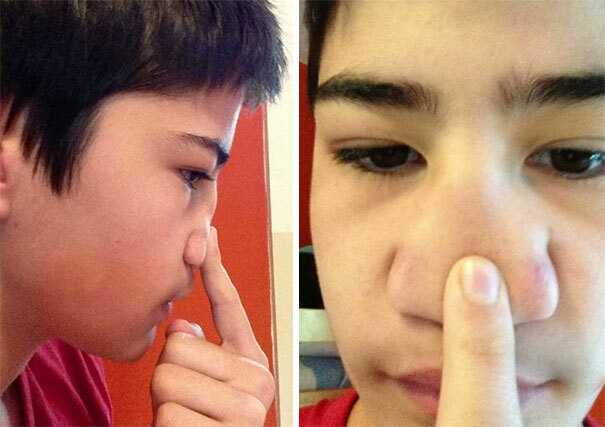 It appears that the person has no nasal bridge, which can occur due to various conditions. The most commonly encountered congenital syndromes with a depressed nasal bridge are cleidocranial dysplasia, children with neurodevelopment delay, achondroplasia, Conradi-Hunermann-Happle syndrome, Cornelia de Lange syndrome, osteogensis imperfecta and Klippel-Feil syndrome. But, on the bright side, the person who posted this picture says that they never get a runny nose. 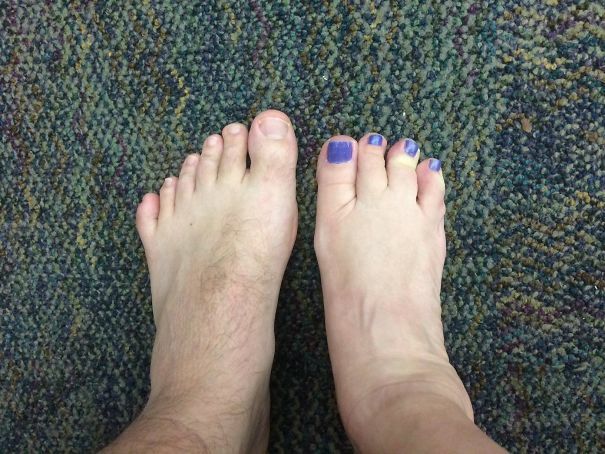 A woman found out that her sister-in-law had the same condition as her which is known as syndactyly but is more commonly known as webbed toes. 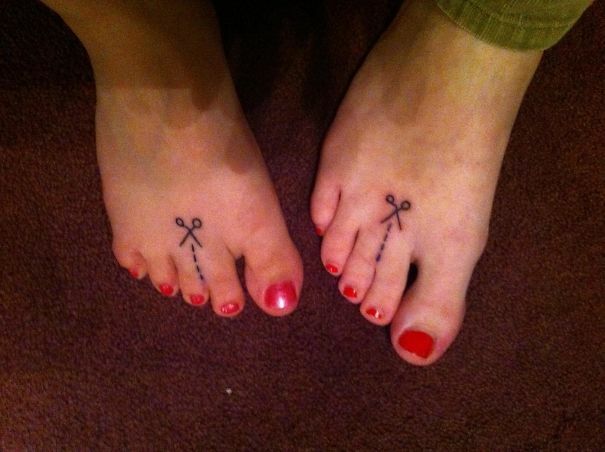 They decided to get a matching tattoo to celebrate their rare condition. This “webbing” is very common in the animal kingdom but is much rarer among humans. Statistically, there is one baby born with webbed toes for every 2500 born. But, people with syndactyly will be happy to know that Ashton Kutcher has it so they’re in good company. This is often referred to as being double jointed, but the scientific term is hypermobility. There are some people who can move their joints beyond the normal range that the rest of us have and it’s really uncomfortable to look at sometimes. Being “double jointed” is more common among children (10%-15%) and usually decreased with age as only about 5% of adults have it. There are multiple causes of hyper-mobility, including altered bone shapes, stretched ligaments, muscle tone or stiffness and proprioception. 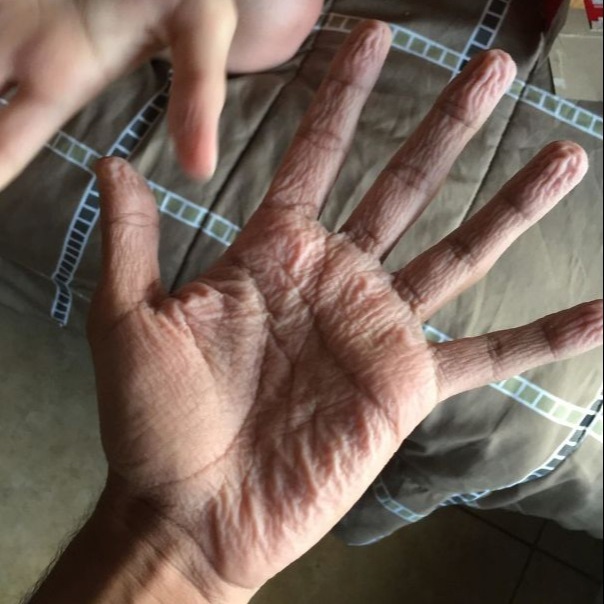 If you’ve ever been in a pool or a body of water for a significant amount of time, your hands have pruned up. This person’s hands get about 10x more pruney than the rest of ours. Pruney fingers occur when the nervous system sends a message to the blood vessels to become narrower. Scientists say that our fingers get shriveled in water because, as gatherers, it was easier to pick vegetation from wet environments and the wrinkling of our toes prevented us from slipping. This person can see the bruising in their finger when they shine it up to the light. This is some extraterrestrial kind of stuff happening here. The picture itself is interesting even if you look passed the internal bruising part. You might be wondering why you can’t see any finger bones. 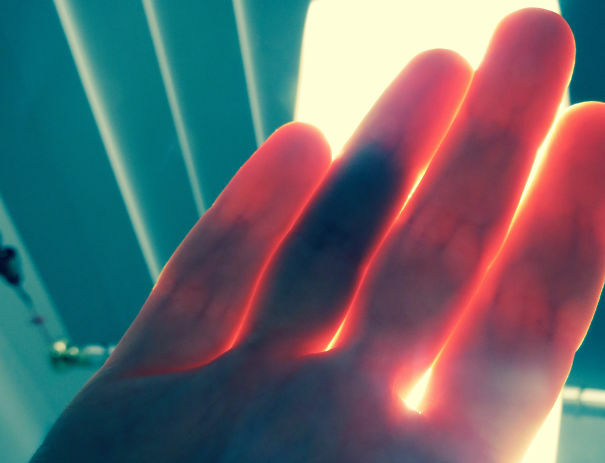 It’s because of how much the skin and flesh diffuse the light. Think of it like you’re looking through a pane of frosted glass. Cleft lips or cleft palates occur in one in every 700 babies. Basically, it’s a birth defect that happens when the baby’s face doesn’t connect properly while in the mother’s womb very early in the pregnancy. There isn’t enough tissue in the roof of the mouth and the upper lip doesn’t form together correctly. Most kids who have this will end up getting surgery to correct the defect. 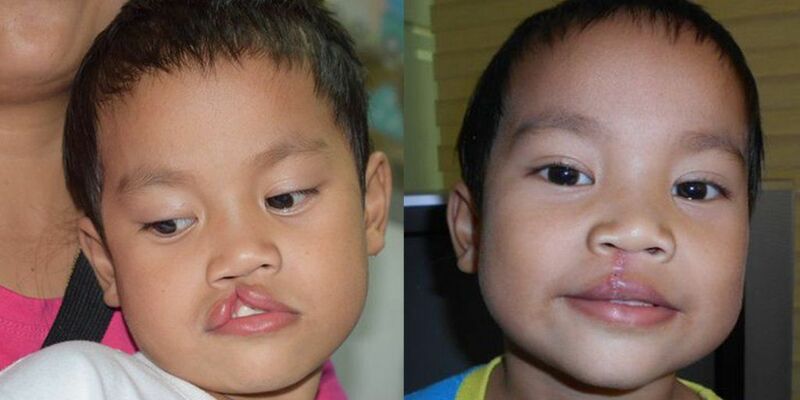 There are many charities that will send doctors across the world to repair cleft lips in babies around the world. Anonychia congenita is a genetic condition that can affect the fingernails and toenails. 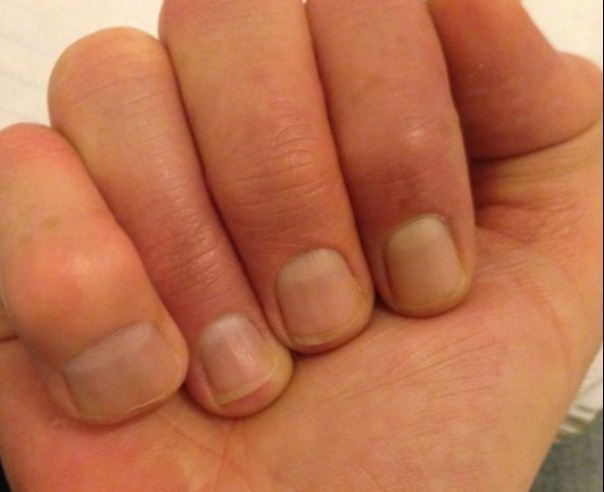 People with this abnormality are usually missing all of their nails, but in some cases (like the one in this picture) only some of the fingernails are missing. Those affected by anonychia congenita do not have any other health conditions as a result of their condition. 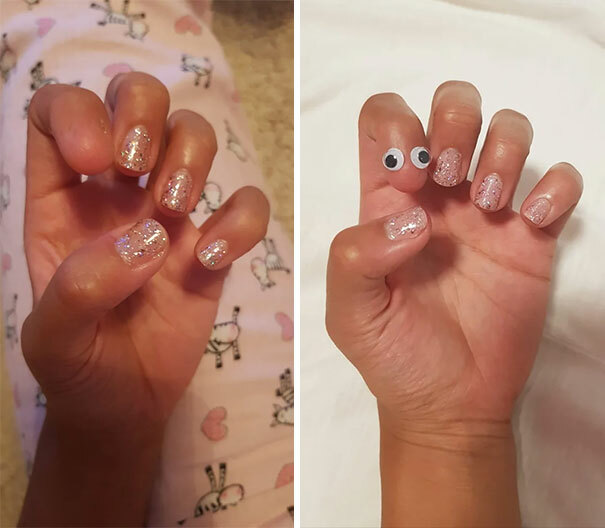 This person started getting creative with the way she “dresses up” her bare finger and it’s very cute. The condition that doesn’t allow you to bend your thumb is called “trigger finger”. No, that’s not a joke, that’s a very real name. It’s a condition that is found in one or more tendons of the hand. 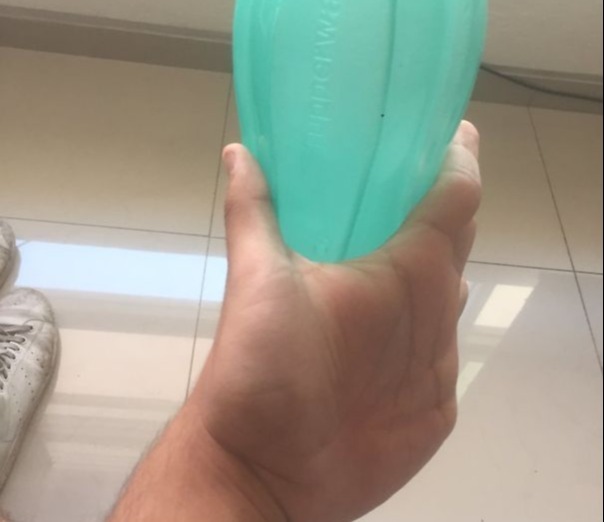 The tendon that allows the thumb to flex is too swollen and locks. Eventually, the thumb completely locks and is unable to bend at all. Only 3.3 per 1000 live births end up having this condition. This might be one of the weirdest freckle patterns that you’ll ever see. It’s a one-of-a-kind rarity that you’d be hard pressed to see ever again. A woman went onto the TV show, The Doctors, and asked them to explain her freckle pattern which only went down half of her face. The answer that she got was that it was a very specific type of birthmark which started when she was an embryo. Although Samantha isn’t in this picture, her pattern was very similar. 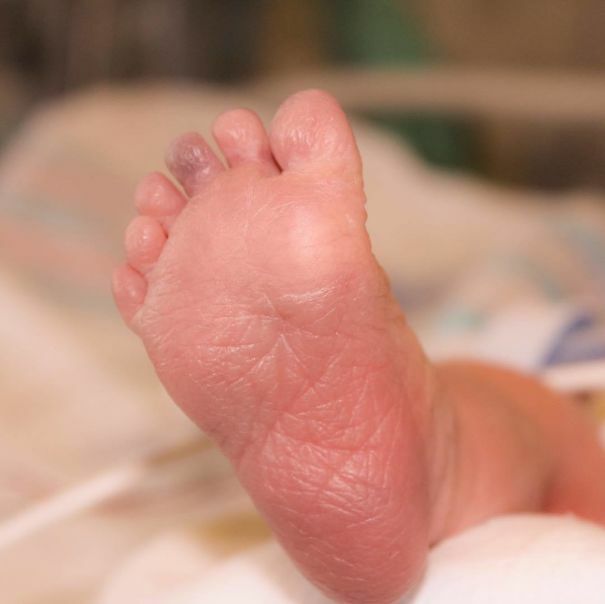 Having six toes is a very common birth defect called Hexadactyly which literally translates to six digits. This condition usually manifests as an extra finger or toe on the side of the toes or in-between. If you are born with some extra digits, you don’t really have to worry about there being any side effects. They’re almost always harmless, but in some rare cases having an extra digit can mean you have a more serious condition lingering. This is Ryder, who also has polydactyly which we’ve talked about previously in this article. It’s a condition that causes a person to be born with extra digits on their hands or feet. Ryder was born with 12 toes and 12 fingers. There are three main types of the condition, but the rarest (central polydactyly) is when an extra finger is attached to the ring, middle or index finger (or toes). Most people get surgery to remove the nub. 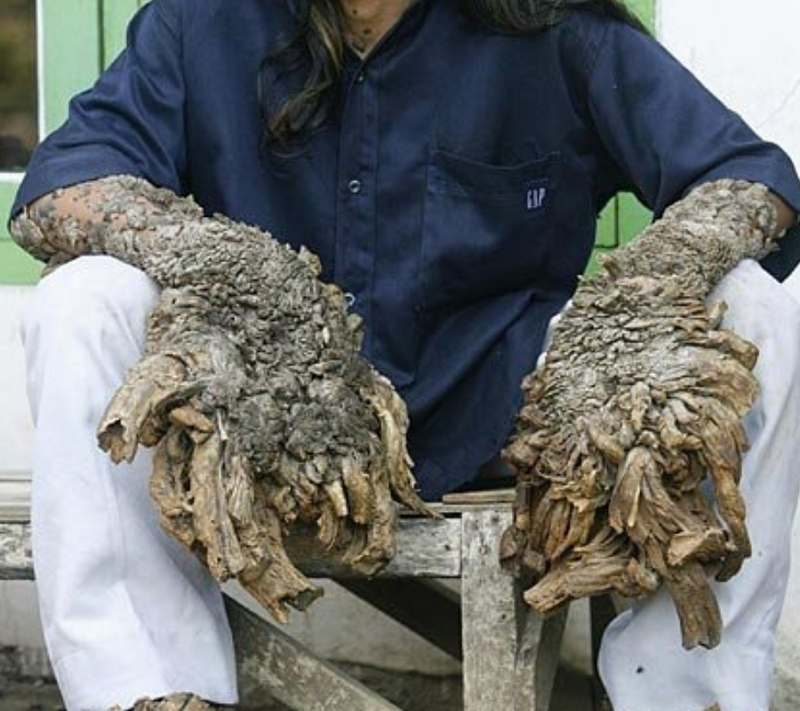 This is the “Tree Man” illness, or as it’s also known Epidermodysplasia Verruciformis. This birth defect is very rare and makes people really open to HPV and causes malignant skin tumors. Tumors usually start around age 20, and like most skin cancer, they start in places that are normally exposed to the elements. Kids are born with this disease but it takes two decades to show up. Multiple uncontrolled HPV infections lead to the malformations which gave this disease its name.